Turnkey Furnished. Great rental income opportunity for investors. Lakewood National offers, World Class Golf, 6 Har Tru Tennis Courts, State-OfThe-Art Fitness Center, Zero Entry Community Pool, Full Service Spa and Salon, Golf Pro Shop, Clubhouse with Full Service Restaurant including Pool Side Food Service. This turnkey furnished, brand new condo is beautifully appointed, with designer finishes. A top floor unit with 10′ volume ceiling, multiple water views and multiple golf course views. Tile flooring, set on a diagonal, throughout living areas. Open floor plan with high bar in the kitchen area, separate formal dining area and a breakfast nook over-looking the water and golf course. Screen enclosed balcony also over-looks the water and golf course. Inside laundry with washer and dryer. There is a large, additional storage locker across the hall (also with 10′ ceilings), covered carport parking and extra guest parking directly off of the community elevators. Restrictions: Up to 3 Pets (Cats, Dogs, Fish or Birds / But Only 2 Domestic Dogs Maximum). No animals are allowed to be left on balconies. No Known Bad Breeds (such as Pit Bulls). Pets must be on leash no longer than 6′ in length when walked outside. 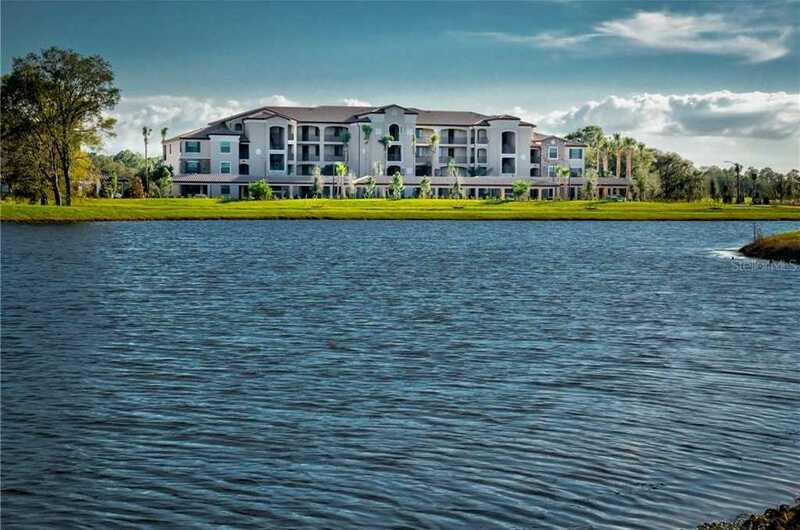 Please, send me more information on this property: MLS# A4433107 – $228,000 – 16706 Vardon Ter #405, Lakewood Ranch, FL 34202. I would like to schedule a showing appointment for this property: MLS# A4433107 – $228,000 – 16706 Vardon Ter #405, Lakewood Ranch, FL 34202.